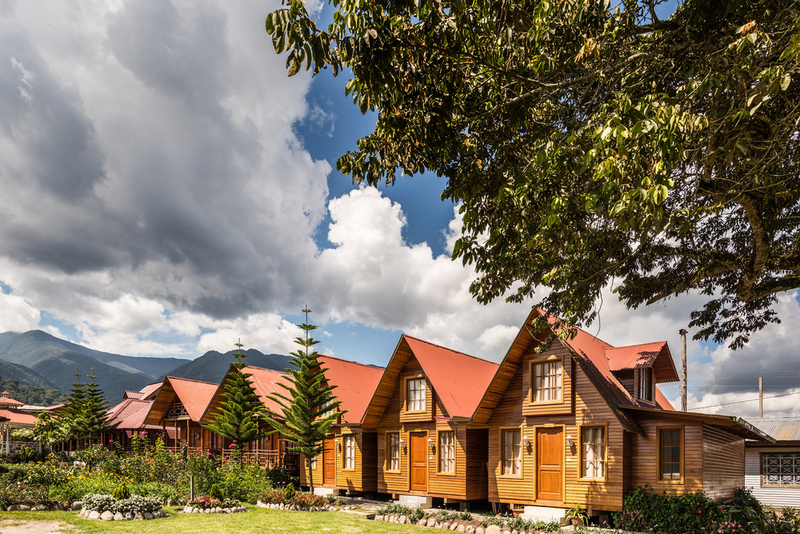 Seems like a pretty strange place to find Bavarian style houses in the jungles of Peru but the German settlements around Oxapampa are just that. The city was founded in 1891 after a long period of famine in Central Europe. In 1853 a group of some 10,000 settlers came from Germany, mainly of Prussian and Tyrolean descent migrating to Peru and settling in several provinces – mainly Amazonas. The move came after the passing of an immigration law in 1849 by then Peruvian president Ramón Castilla. It was German traveller Baron Cosme Damián Schütz von Holzhausen, who, after visiting German colonies in Texas, USA had the idea of creating other colonies across South America. Today in Peru the population Peruvians of German descent is approximately 160,000 people and hold many high positions in Government, Military and industry. The town of Oxapampa was originally set up by just 170 German settlers from the original group as a coffee and ranching centre, and continues with these industries today. There has been an increase in recent years in dairy production. Cheeses from across the region can be found in the capital Lima’s gastronomy, and are widely available in everyday supermarkets throughout Peru and exported across Latin America. Keep an eye out for the locally produced Parmesan and Austrian and Swiss delicacies on your trip to Peru. The town is located in the high jungle of Peru at approximately 1800 metres above sea level. The current population is approximately 10,000 inhabitants and located just 8 hours from Lima by car, in a scenic journey crossing Peru’s highest pass – the legendary Ticlio is well over 4000 metres above sea level.. Well, 4800m to be exact! 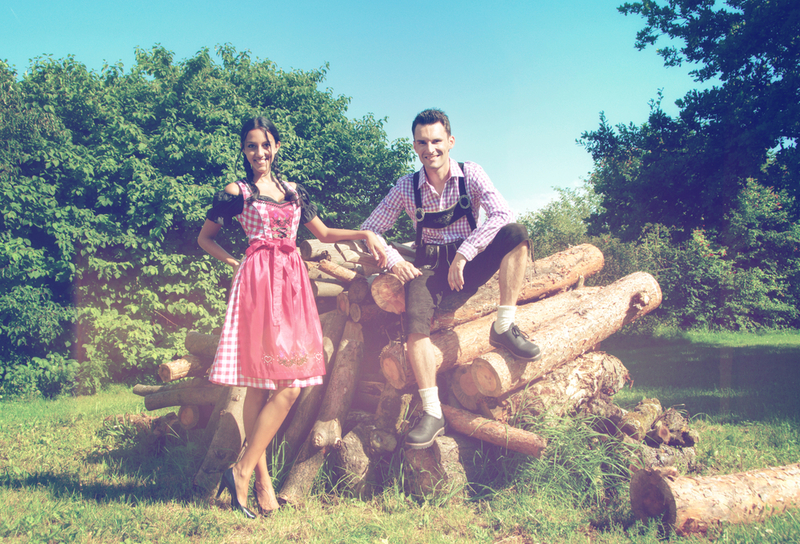 Many of Oxapampa’s residents still use traditional Germanic dress and German influence can be found throughout the town. Making it a fantastic off the beaten track destination in Peru. The town was founded by settlers from the nearby town of Pozuzo which retains even more Germanic timber houses and even blonder local inhabitants with a stronger German dialect. It is located in a scenic valley alongside the Huancabamba river. Local family names include Schmidt, Heidinger, Müller, and Köhel. Today, The area surrounding Pozuzo, apart from being excellent for exploring is also prime for adventure sports such as rafting, paragliding, hang gliding, trekking, camping and even motorcycle tours; these activities, along with the hospitality of its local inhabitants, will make your visit to the region an experience difficult to forget. Over the years there has been continual German migration in stages to South America. Some of the most infamous include Nazi war criminals escaping prosecution in Germany. There are some fascinating stories that have been told since 1945, including Hitler himself posing as a monk in Ecuador, top ranking Nazi’s hiding in Argentina and Brazil, abductions by Israel’s Mossad to Nazi bases being set up in Antarctica and being supplied by Argentina. Fact or a lot of fiction – check out some of our other blogs for an insight into the colourful history of South America and lesser known cultural groups across the continent. You want to learn more about Peru and its interesting history? Go on one of the many tailor-made trips to Peru.